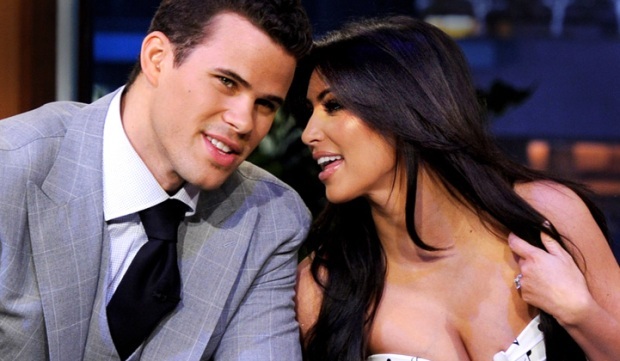 Reality TV star Kim Kardashian is scheduled to get married to New Jersey Nets baller Kris Humphries Saturday -- at Google chairman Eric Schmidt's estate near Santa Barbara. Despite the reports, no one seems to have any clue what the connection is between Kardashian and Schmidt, nor why she is marrying at his Southern California estate in Montecito, Calif. instead of a more conventional Los Angeles venue. Schmidt bought the house in 2007 for $20 million, according to AllThingsD. It's most likely that Schmidt is renting out the house for the wedding -- like he really needs a side business -- and we're guessing he's asking at least in the low six figures. The wedding cake alone cost $20,000, so $200,000 for a house rental isn't unrealistic. The wedding will also be filmed for an E! television special, and we all know that Schmidt has television aspirations.